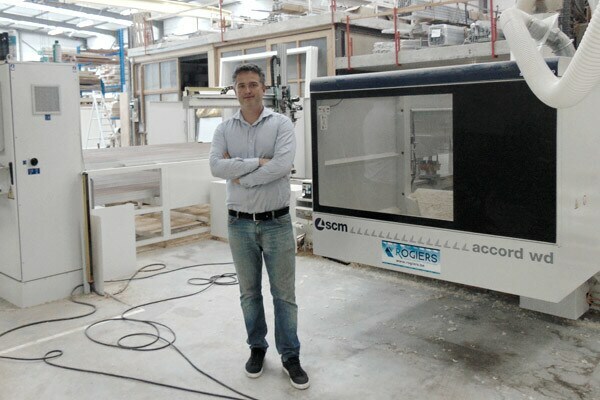 Scm’s in-depth know-how in technologies for doors and windows and ability to work alongside customers providing, through the trustworthy Belgian dealer Rogiers, excellent pre- and after-sales service played a decisive part in DE WIN’s choice for the Italian company, explains Mr. Tom De Win: “We spent a lot of time researching the best machine responding to our needs, even comparing several manufacturers. We opted for the Scm Accord WD machining cell. We were able to see this technology first hand at the factory in Rimini and test its effectiveness, thanks to specific demos carried out with the company engineers. It was a chance to get to know the company staff really well. They made us feel very welcome. Also, when the machine was ready, prior to delivery we ran tests using our materials, tools and software, which meant that we were able to minimise installation time. It’s normal for unexpected issues to crop up during the start-up phase, and that’s why it’s essential to have a partner able to support you in every step of the way, like Scm did for us”. Established in 1945, DE WIN is now an important player in the window market situated between Antwerp and Bruxelles, two biggest city's of Belgium . With a turnover of € 4.5 million and 20 employees, the company covers the contract and private market mainly with two types of products, a window made of aluminium and one of wood and aluminium. Accord WD machining cell is the key technology in the wooden door and window frames production process – carried out entirely in-house. It is the optimum solution for achieving the goals of higher productivity and greater flexibility, characterised also by reduced overall dimensions. Fitted with automatic loading and unloading, it allows productions in batches and in single units without ever interrupting the work cycle and always feeding at the maximum speed. 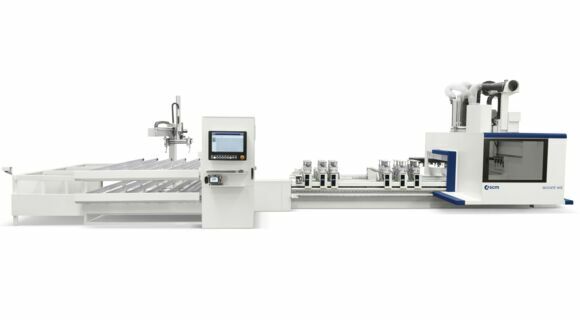 It can also be used with manual loading and unloading, thanks to complete free access to the worktable for manufacturing special frames or other types of products, exploiting the full potential of an SCM machining centre. A technology thanks to which, says Mr. Tom De Win “We have been able to concentrate all machining steps in a single machine (internal and external profiling, drilling and hardware routing on each window element), significantly reducing errors, giving higher quality and increased productivity. The software is just as important. It allows quick, easy programming of different machining profiles, which can then be reproduced on windows in various sizes. It also guarantees that our production know-how becomes an asset shared throughout the company, rather than knowledge that stays with individual operators. We are certainly satisfied with the way we have been able to work with Scm. Not just because of the technology that we have purchased, but also due to the extraordinary precise, professional support that Scm continues to offer us”.